Southlander, Joined J Johnson & Sons as an apprentice Fitter and Turner in 1982. Logan was often requisitioned by Jesco to help with jobs and later transferred over to the hydraulic division to complete his apprentice ship. Logan’s attention to detail coupled with his ability to communicate with customers saw him involved in every aspect of hydraulic and pneumatic sales and service work before he took over the foreman’s roll in 1994. Logan thrived in this position which he held until his appointment as manager in 1997. Logan has built up an exceptional knowledge of Hydraulic and pneumatic equipment which is regularly put to the test with customer problems and unusual requests. Logan likes to keep his hand in and customers are often surprised to see him in overalls back in the workshop. Logan enjoys Family time, Rugby, Travelling, Hunting and fishing. Southlander, Steve grew up in Riverton. He spent several years in the freezing industry where he completed his trade as a Fitter Welder. Steve moved to Nelson working as a sawmill maintenance technician. 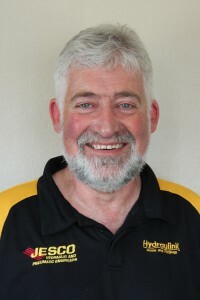 He also did a short spell as a hose doctor before joining Jesco in 2006 after it opened is Dunedin branch. 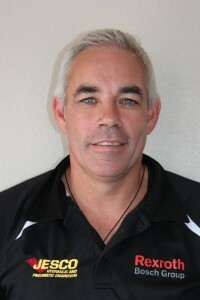 Steve was promoted to Dunedin manager in 2008. Ray’s has spent the last 43 years in Bluff so his local knowledge and respect he has within the community makes him the ideal person for this sole charge position. I understand Ray was spotted advertising Jesco in John O’Groats at the tip of Scotland. Ray’s outside interest are Steam engines, Gardening and repairing fisherman’s set nets. 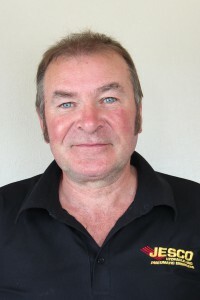 Murray and Lynn spent 17 years in Australia, During that time Murray managed several motorcycle shops. When their family’s education was completed they returned to New Zealand. 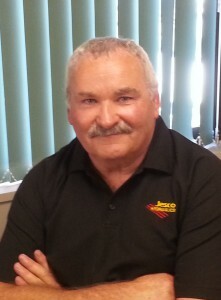 Murray started work at Jesco in 1996 initially for 2 weeks as a casual worker. With our growing work load Murray became a full time employee working his way firstly to workshop foreman and then to Store man. Otago, Murray grew up in Dunedin He spent 10 years working in the Hillside work shops And another 10 years working for Norgren before joining Jesco In 2008 as an internal sales person. Murray holds a NZC qualification in Mechanical Engineering Design and Drafting and has an extensive knowledge of hydraulic and pneumatic components. Murray enjoys time with his family and golf. 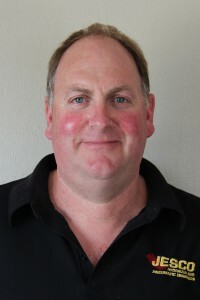 Greg grew up in rural southland tinkering with agriculture machinery before becoming a sawmill maintenance technician. Greg joined Jesco in 1995. After spending some time on service work Greg was put in charge of the Bluff depot and later transferred to Otago to manage the branch at Mosgiel. With the pending closure of the branch in 1999 he was asked to return to Invercargill in a technical roll. Greg is still involved with project work and regularly visits customers In the field. His ability to recall technical information and his general product knowledge is uncanny and continues to amaze me. 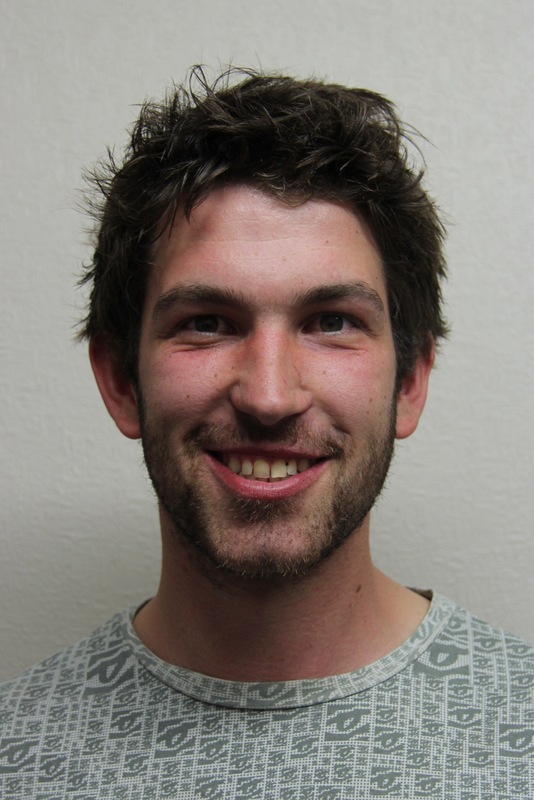 Greg leads a colourful social life and enjoys cooking, all forms of Motors Sports and riding his dirt bikes. Southlander. Jeremy attended the Southland SIT where he completed his pre-trade. He then went to the Tiwai point Aluminium smelter where he completed his apprentice ship in Maintenance and Diagnostics. Jeremy joined Jesco in 2011 initially as part of the workshop team but late in 2011 he was transferred to the vacant backup hose van position. He became part of the external services team in 2012.Jeremy left Jesco in 2016 to resume his career in the fishing industry but returned late in the same year to take up the position of internal and external service manager. He enjoys Motorbikes, all Motor sports and Hunting. Canterbury. Peter shifted from South Canterbury to Gore when he was 16. He grew up in Gore and still lives there. Peter spent 19 years working in the Flemings Creamoata factory where he completed his apprentice ship as a Fitter Welder, He also holds a second class stationary steam ticket. Peter was a sales rep for Norgren before joining Jesco in 2001. 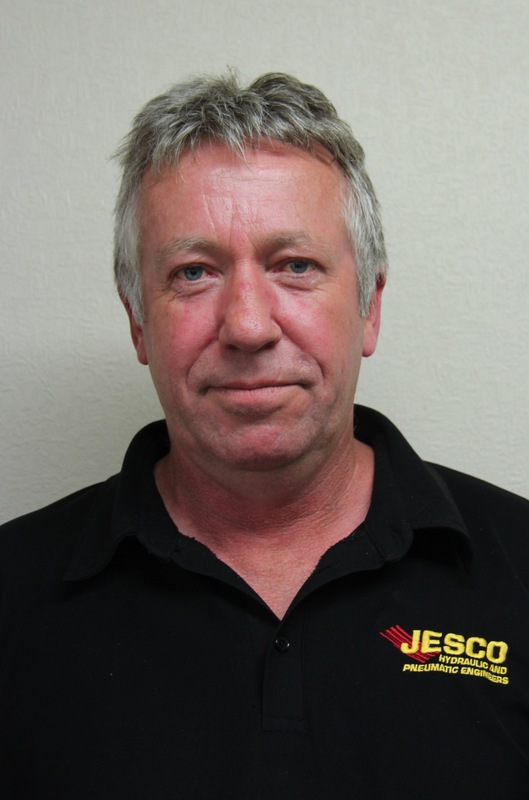 Peter is Jesco’s main sales rep and travels extensively throughout Southland and Otago. Southlander, Married to Murray Lynn returned to New Zealand after a 17 year O E in Australia. Lynn joined Jesco’s in 1996 as office administrator about four months before Murray also started with us. Lynn enjoys Net Ball, Patchwork and Duck shooting. Southlander, Julie started working for Jesco in 1982 just 2 days before Logan Maxwell. By today’s standards Julie was very young to be a sole charge office girl, a position she help for many years. Several years later after marrying, Julie asked for maternity leave which was duly granted but just 2 months after starting her family Julie was asked to please return and sort out the mess in the office. 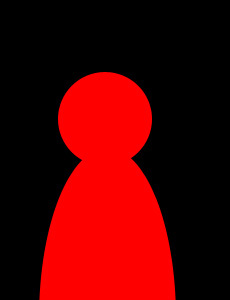 She agreed to return on a 9am – 3pm bases which was maintained until her family’s education was completed. Like most of our staff Julie enjoys Motor sports and loves fast cars. Southlander, After completing her education Vicki spent 6 months caring for the elderly before taking up a position with Jesco in 2006. 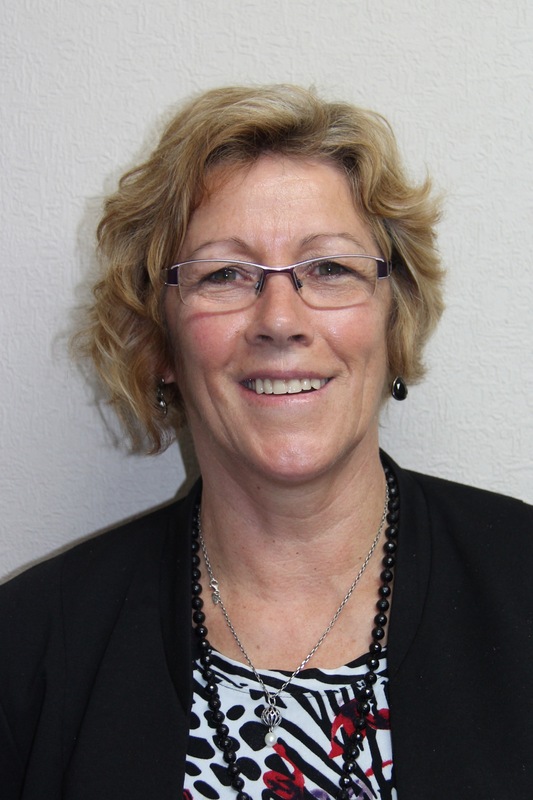 After becoming familiar with Jesco’s systems Vicki was moved into workshop office where she processes and correlates workshop jobs and requisitions. Vicki enjoys mosaics and scrap-booking. 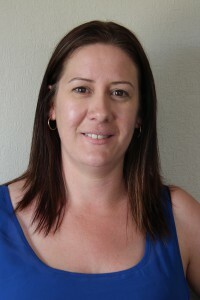 Southlander, Shortly after completing her education Chantel joined Jesco in 2001 working part time for us and part time for the Invercargill licencing trust. 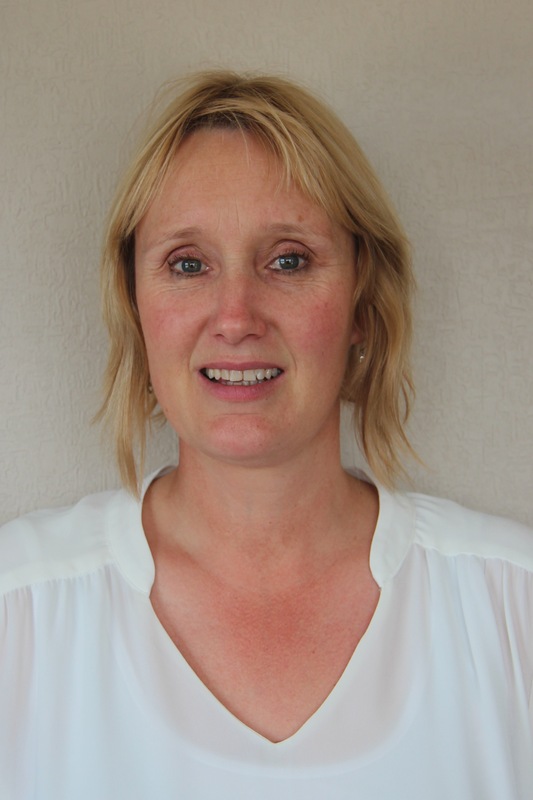 As our work increased she became a permanent staff member until her and partner John started their family. Chantel has since returned Jesco on a part time bases. Chantel writes and maintains our HSE systems and has proven herself to be a extremely capable store women. Chantel enjoys time with her family and making Jeweler. Southlander, Jim came to Jesco after doing his pre trade at southlands SIT. He did his apprentice ship with Jesco as a Fitter and Turner before leaving in 2008 to do his OE in England and France. Jim spent 12 month overseas working within his trade before returning to Jesco in 2009. 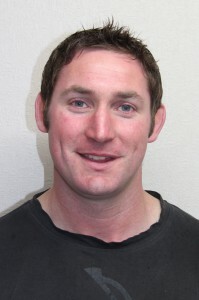 Jim stayed with us for 2 years before taking up a position with an engineer in Wanaka in 2011. He returned to Jesco as a store man in 2012 but is currently running our Bluff branch. He enjoys Rugby, Tennis, Softball, Hunting and fishing. Scotland, Neil was born in Scotland and shifted to NZ as a nine 9 years old. After completing his education he Started working for J Johnsons Engineering where he completed his apprenticeship as a fitter turner. Neil went on to work firstly for Alliance Lornevile and then Southland Phosphate before doing his OE in Australia. Two years later he returned to NZ but after a short time he returned to Australia where he spent the last 17 years before returning to Invercargill and taking up a position with Jesco in 2012. Neil enjoys Classic cars, Steam Modelling and cycling. Davey was born and grew up in Scotland. After leaving school he joined the navy and spent the next 14 years with the navy and the marines gaining several qualification which included Boiler Making, Copper smithing and Diesel fitting. He took part in the Falkland Islands war before leaving the Marines. He spent 6 years in the Middle East working on Drilling and blasting rigs before he return to the Uk and started Long Haul driving though out the UK and Europe. He visited NZ 3 times before emigrating here in 2002 and started working within the Agriculture sector. He joined Jesco in 2006 and obtained his NZ citizenship in 2011. Davey interests are restoring old tractors and agricultural equipment.